My Mission is to help you achieve your dreams of home ownership in an environment of mutual respect and honest communication, acting in your best interests at all times and understanding that buying or selling is among the most important decisions one makes in a lifetime. To get started today Call Cathy at 216-559-0990! I would highly recommend Cathy as a buyer or sellers agent! She exceeds her clients expectations and is there for them from the beginning of the process to the end of a successful home purchase or sale and after! When I think of one phrase her clients use to describe her, it would be "Realtor for life"! Once Cathy visited our house and came back with her marketing strategy there was absolutely no question that we wanted her to be the one to list our house out of the three relators we interviewed. We accepted one of the two offers that were made in forty-eight hours after the house was listed, Cathy's pre marketing and house preparation strategy allowed the process to be seamless from start to finish! I live out of state and when my renters moved out, Cathy handled everything for me. She checked on the property, referred and oversaw painter and house cleaners, met with contractors to oversee their work. She was like a property manager!!! She helped negotiate the offer received and handled all the necessary paperwork. She got the home under contract in two weeks. She sold a similar property for me last year, and in 5 days got me 5 offers!!! I wish I had more homes to sell! She's the best!! Cathy is very knowledgeable about the area and very helpful with closing support. Very helpful and knowledgeable. Most helpful was her support and advice on staging the house and repairs prior to listing. Cathy is very thorough and did a lot of research prior to listing our home. She explained things in an easy to understand manner. Cathy was great working with Lynn Anderson to market and sell our home. She was always available - and a valuable backup/partner to Lynn/us. She was particularly helpful in getting the home ready for sale. Specifically, she/they provided detailed suggestions to increase the value of the home for sale. We obtained a quick sale, above ask, and had a 3-4 times return on the improvements. I would recommend her highly without reservation! Thinking about selling your home? Inventory is low and homes are selling quickly many times receiving multiple offers. Call me today and let me explain why this might just be the perfect time for you. Whether you are moving around the corner or across the country I have the ability to help you. I can work with you to find just the right agent to serve you. Take the fear out of this kind of move and be secure in knowing that I'll be working with you every step of the way. Strongsville - A great place to live! Welcome to Strongsville! 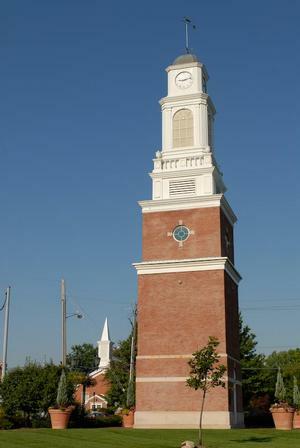 While traversing the roads of Strongsville, one might pass by the distinctive clock tower or drive over a rustic covered bridge. Or you might happen upon a Community Band concert at the Gazebo in Town Square. Located in Cuyahoga County, a suburb of Cleveland, Strongsville exudes small-town atmosphere with a quality of life consisting of soothing green space, excellent city services, and a school system second to none. Business and civic organizations work together hand-in-hand to project a community spirit that is evident to all in such projects as the creation of the Community Playground, the building of the Clock Tower on Town Square, and the construction of Catan Stadium at Strongsville High School. Strongsville has a goal... to encourage bustling economic development while maintaining and building upon the strength of our neighborhoods and families. We have created this Web site to provide the latest news and information on Strongsville and to enable our residents and other interested parties to find out "everything you always wanted to know" about Strongsville.